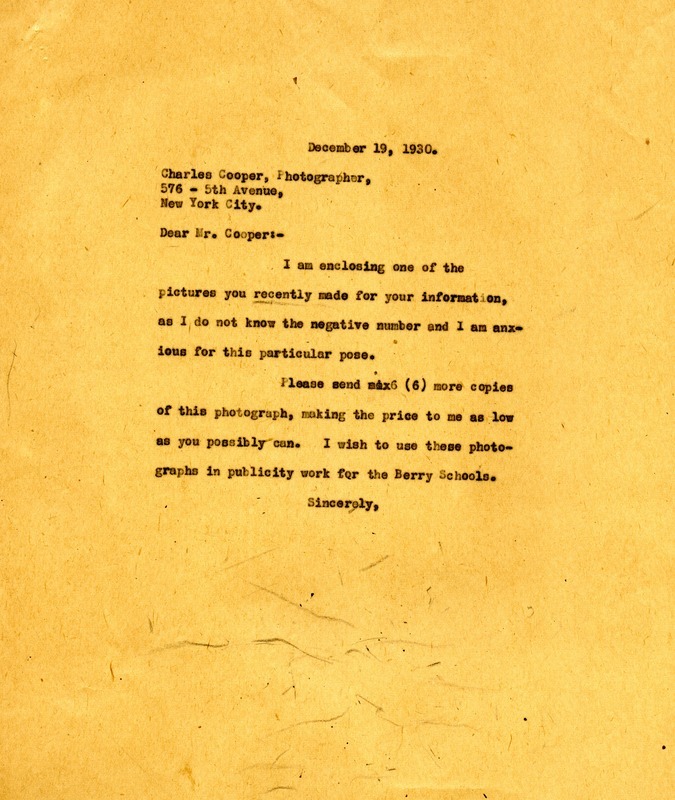 Berry asks that Cooper provide additional copies of a photograph he made, at a price "as low as you possibly can." Martha Berry, “Letter to Charles Cooper from Martha Berry.” Martha Berry Digital Archive. Eds. Schlitz, Stephanie A., Sherre Harrington, et al. Mount Berry: Berry College, 2013. accessed April 25, 2019, https://mbda.berry.edu/items/show/12184.